There's no escaping the "going green" movement. 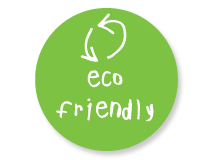 It seems to be present in all aspects of our lives these days, from using recycled items to pet products. And if there's an industry that has truly made it their mantra, it's the construction one. More and more firms are adopting green construction practices every day, if they haven't already. And their clients are equally enthusiastic about green buildings; in theory. Reality is another story, however. Many construction firms are discovering that clients, especially homeowners, are less than enthusiastic about green building choices when the time comes for decisions. Why? These clients certainly aren't opposed to protecting the environment by making eco-friendly building choices. But they are often confused or misled about the choices that they are offered. And who can blame them? Stories abound about "green" homes that were very expensive to build and horribly uncomfortable to live in. A veritable alphabet soup of acronyms like LEED and SEER accompanies green construction options. And while many in the construction industry now speak "green" like a native language, many a frazzled homeowner may opt for a simpler language and more traditional building methods. Going green construction benefits everyone. The environment, obviously. Contractors certainly, in terms of profit margins. And homeowners definitely, though the benefits of green home owning, beyond feeling good about themselves, can sometimes be buried under all that jargon. That's why contractors should be prepared to be instructors as well as builders for their clients. They can start by taking the time to make sure clients truly understand the concept of building with green construction technology, and more than that, in language that they can understand. That building project for the next few months is their castle for possibly multiple generations. They want to feel that they have control over every aspect of it, especially the financial commitments they're making to it. So when a contractor tells them that they should definitely have all "High-R" windows installed in their new home with no further explanation or examples, it's understandable that a client would hesitate to sign off on what looks like an expensive version of an ordinary window. Contractors should take the time to explain the benefits of green vs. older construction methods before work begins, and have the data on hand to back these claims up. They should allow time for "show and tell" and "field trips", so that clients can examine proposed materials, see them in practice, and better still, talk to occupants of green buildings about their experiences. And they should be honest about the costs and other initial issues that come with green building. They should also point out the benefits of green homes, such as healthier buildings, lower energy costs, and higher resale values. As they say, "knowledge is power", and by educating clients on the benefits of green homes, construction firms are empowering them to make decisions that will benefit everyone. Going green construction technology is a new, and very beneficial building method.